^ Chisholm, Hugh, ed. (1911). "Blazon" . Encyclopædia Britannica (11th ed.). Cambridge University Press. ^ Velde, François (August 1998). 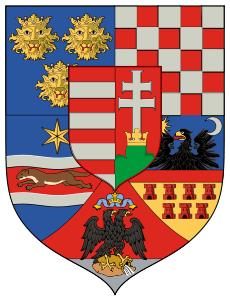 "Hungary". Heraldry by Countries. Retrieved 13 December 2007.